Navelina L7 is the one to launch the soonest in the Spanish market, so we harvest it from end-November to mid-February. This orange is an easy peeler with excellent quality. The pulp is tasty, soft, seeded and with a good amount of juice, which makes it also suitable for juice. They are very round or slightly flattened, with a thin skin and medium to large sized. Its juice is sweet, and abundant. It's lovely both eaten whole or made juice. Although it is collected from January, we will launch it in February. It ripens in the tree and picked from mid-February to late March. Very easy to peel. Soft, sugary taste. It's seedless, with very fine pulp; the favourite of those who like dessert smooth and juicy oranges. It can be harvested during a longer period, from early March to end May. The Navel Powel has extremely thin skin and is seedless. Its non-acidic juice is high in fructose, and has amazing quality. Very suitable both for table consumption and juice. Our Barberina is picked ripe from mid-March to mid-June. This orange also has thin skin and is seedless, and contains a lot of juice, more than any other citrus fruit: you can get up to one full glass of juice out of each piece, and is not highly acidic at all. Therefore it is an excellent variety for both fresh consumption and for juice. This orange is the latest to come to the market and famous worldwide. Even though it's ripe by mid-April, it will remain in perfect condition and retain its qualities if left on te tree up until late June. 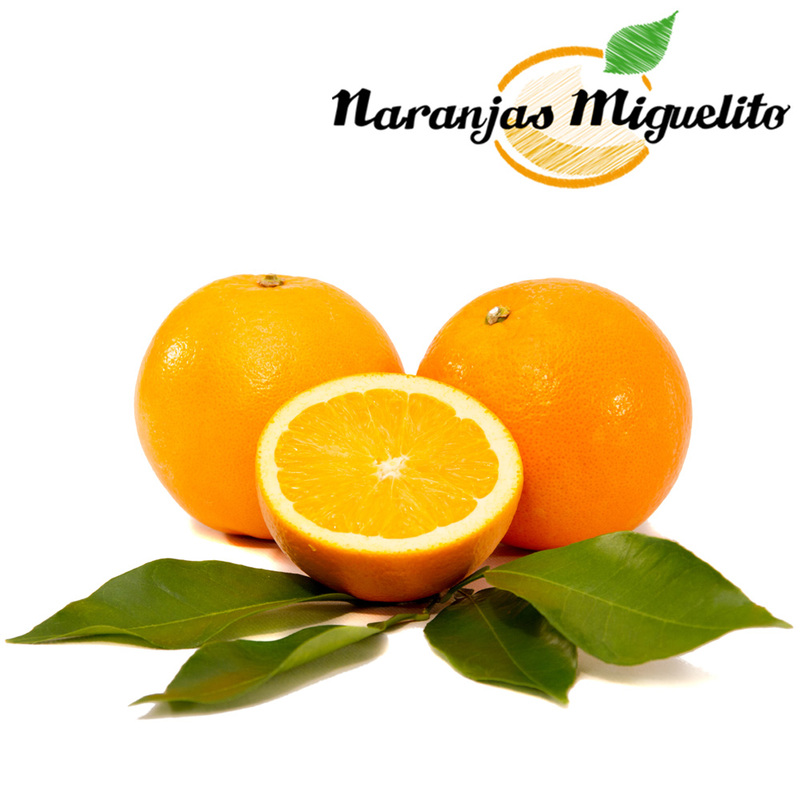 They are very juicy oranges, and although they are slightly more acidic than the Navel Powel, they are also very sweet in taste. They sport a beautiful shade of orange inside, and press amazingly tasty juice. It's usually pressed for juice for these reasons, but is equally delicious if eaten whole. Mandarins are extremely rich in vitamin C, bioflavonoids and essential oils. 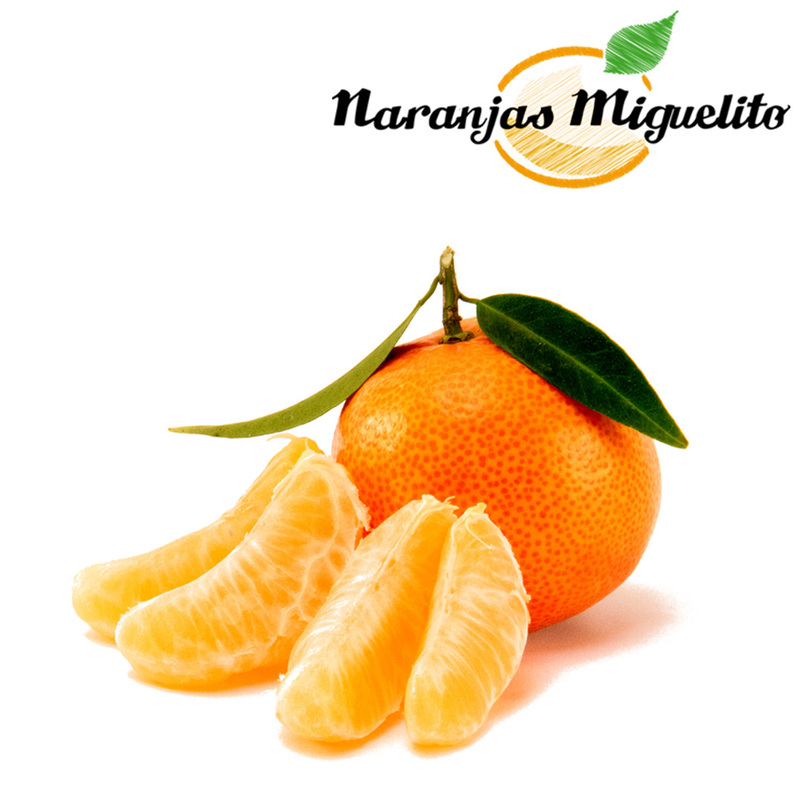 This clementine is especially early, and the first one we offer to our customers in the season. It's fully ripe in October. Its skin is a striking reddish orange; its pulp is rich and soft, containing a lot of juice for a clementine. It's picked ripe from mid-October to mid-November. It's small, especially rounded and has a striking reddish tone to its skin; an easy-peeler, with lots of aroma and less acidity full of simple natural sugars. These properties make it a natural treat for children. It's typically harvested from mid-November to end December. Orogrande is either the same size or slightly larger than Oronules, and its skin is smooth and easy to peel. It's another seedless, juicy one. Orogrande is a spontaneous variety of Oronules, only slightly more proportioned in acids and sugars. It's ripe from November to late December. The fruits are small to medium size, superb quality and seeded, weigh around 50 to 70 grams. It has thin, deep orange skin, but what makes it particularly good is the pulp: it has outstanding organoleptic properties for excellent juice and an exquisite composition of acids, sugars and aroma. It's in its prime during mid-January, when it's picked perfectly ripe from the tree. The Clemenvillas are medium to large, rounded, with thin skin, a bright shade of orange, juicy, and a fine, tasty pulp. They have abundand juice and excellent flavour. In warm areas, as is Huelva in our case, its quality is extreme. In our area it's ripe from mid-January to late March. It's also seedless and has exceptional flavour, which makes up for its rather ugly look: its skin is extremely coarse ad bumpy. We tend to complain when we buy a pretty tomato that has absolutely zero taste, or a ver bright, shiny orange that is then dull and bitter. However this tendency is changing, and customers value more features like quality and taste over uniformity and look. This is the star of our late mandarins. It ripens between late January to late March. Its colour is a particularly intense shade and it's a seedless, easy peeler. The pulp is also a very deep orange colour, with a very fine, moist texture; its flavour is completely unique, very sweet, and it has a lot of juice in every section. JUICE ORANGES CAN BE THE SAME VARIETY AS DESSERT/TABLE ORANGES, ONLY DIFFERING IN SIZE.